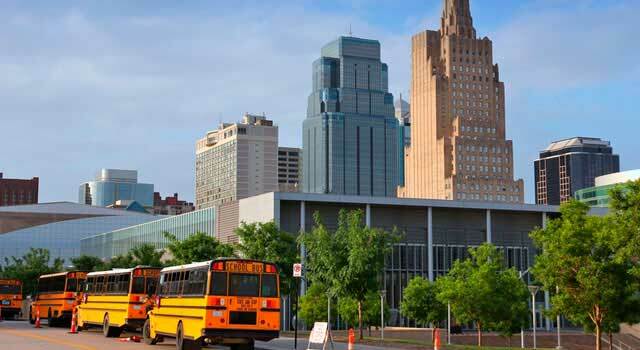 Use this website to quickly find the most important information about the main airport in Kansas City, called Kansas City International Airport: Departures, Arrivals, Parking, Car Rentals, Hotels near the airport and other information about Kansas City Airport. Plan your travel to MCI Airport with the information provided in this site. 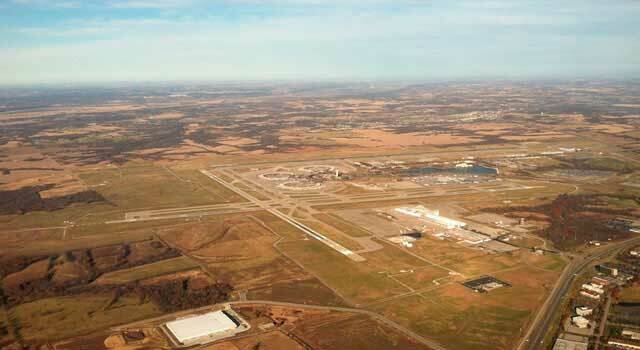 Kansas City Airport, officially known as Kansas City International Airport (IATA: MCI, ICAO: KMCI, FAA LID: MCI) is located 15 miles (24 km) northwest of downtown Kansas City, in Platte County, Missouri. 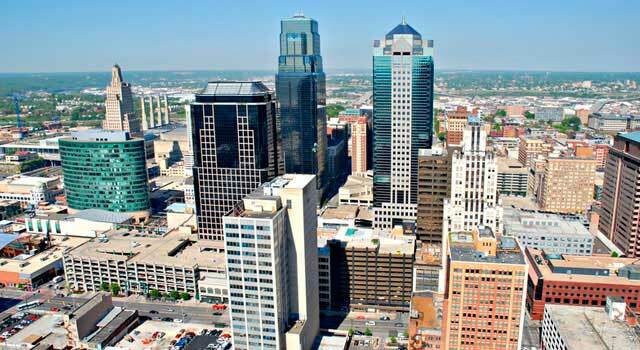 Kansas City Airport is located 15 miles (24 km) northwest of downtown Kansas City, U.S. In 2017 the MCI airport handled 11.5 million passengers. Kansas City airport has three terminals: A, B and C. Its terminals has a shape of rings. MCI airport’s largest carriers are Southwest Airlines and Delta Air Lines. The three first destinations from Kansas City Airport are US airports/cities, being Atlanta, Denver and Chicago in the respective order. MCI airport’s largest carriers are Southwest Airlines, with 68 flights daily on weekends, and Delta Air Lines, which it serves 10 destinations non-stop. Both of them operates flights from Terminal B daily. The airport is home for the crew of Republic Airlines..
Kansas City Airport has three runways and three terminals divided in A, B and C. Its terminals have a shape of rings. Each ring has a short-term parking in the center, so for travelers it's an added convenience because they can go directly to inside the terminal. The three rings, and also, the three terminals are connected by people movers. Buses are also established to take passengers around the rings. Has gates from A1 to A30 but currently are out of use. The terminal is planned to be demolished to build a new Central Terminal there. On the following 3-4 years, a new single terminal will be built in the current Terminal A. Flights hosted in Terminal A will be scheduled in Terminal B and Terminal C until the completion of the new terminal. -It handled 11.5 million passengers in 2017. The official IATA code of the airport is MCI and it will remain the same due the IATA (Interational Air Transport Association) is reluctant to change names that have appeared in navigational charts. 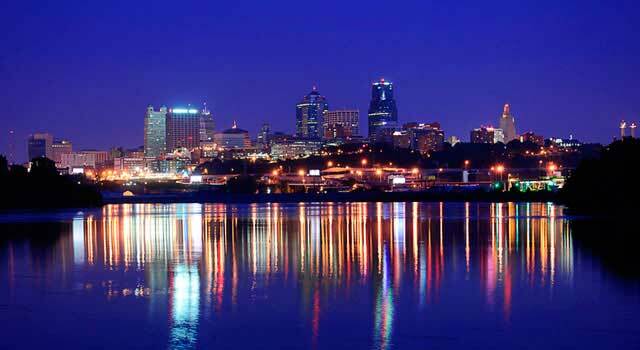 Nevertheless, KCI is the accronim of Kansas City International and is used in some cases. - Car Rental services: There are many companies which operates in the MCI airport. All passengers can take the Gray Rental Car Shuttle to go to the area of rental cars. To get more information, click here. 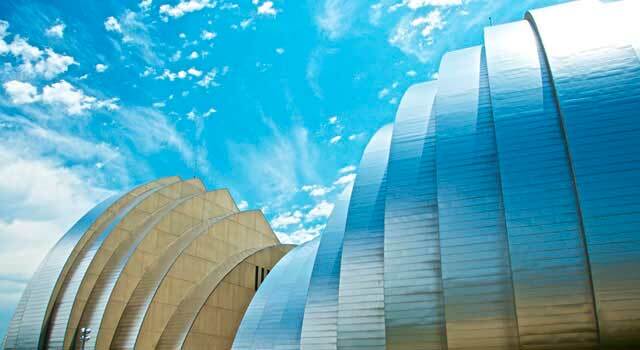 - Shuttle services: many companies operate from the Kansas City airport to surroundings. For items lost in terminal or parking areas: +1 816-243-5237. For items lost in parking lots or bus red or blue: 816-243-5870. For items lost on an aircraft, please, contact with your airline. Assistance: for wheelchair service and curbside assistance, please, contact with your airline. If no assistance is available at the curb call +1 816-243-5237 or notify it to the Airport Police Officer of Traffic Control Officer.